All KnottyWare is made with lead free and food safe products. KnottyWare is copy written and patent pending. Have you ever wanted to be closer to the woods? To gaze at the changing colors of the leaves? Yet, you find yourself at home in your kitchen in the dark of winter. Reach for your KnottyWare. 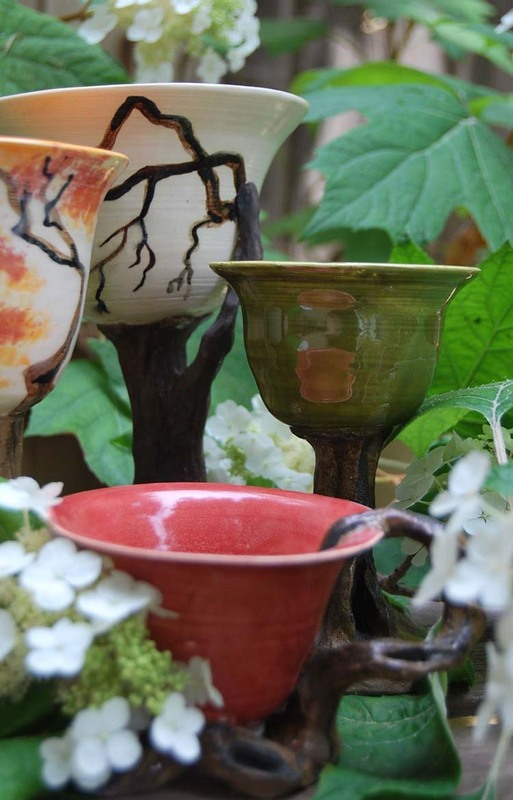 These beautiful one of a kind ceramics evoke a vision of nature. Each piece of KnottyWare is hand crafted. A wheel thrown vessel is artfully melded with a hand sculpted base or handle, decorated with stains and glazes and fired to produce a unique piece of stoneware. Link for ordering current stock soon. Web site and all content are copy written by AWDDog Studios and it's visual artists. Any use of images or ideas are strictly prohibited.